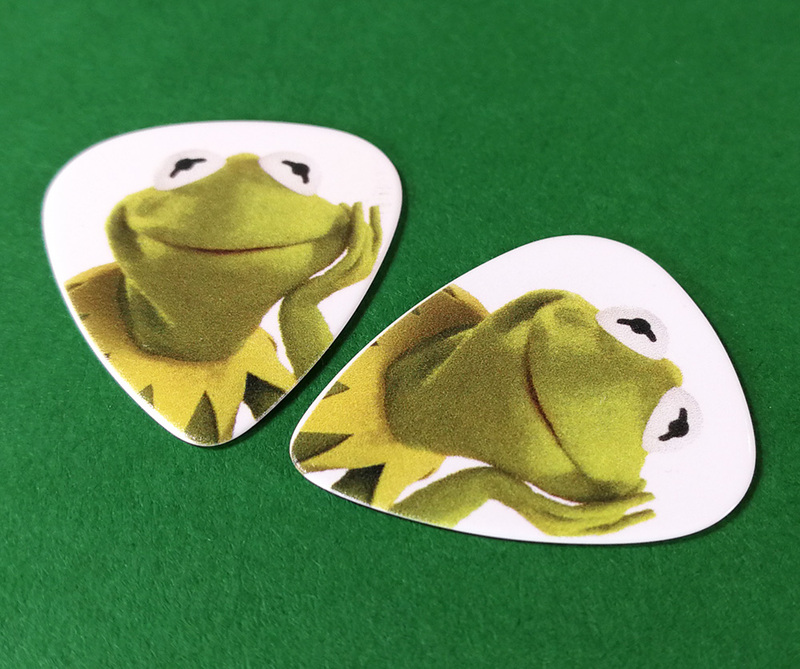 These high quality celluloid guitar picks come with full coverage UV LED printing and we can also print partial white and spot gloss layers to create some stunning effects. 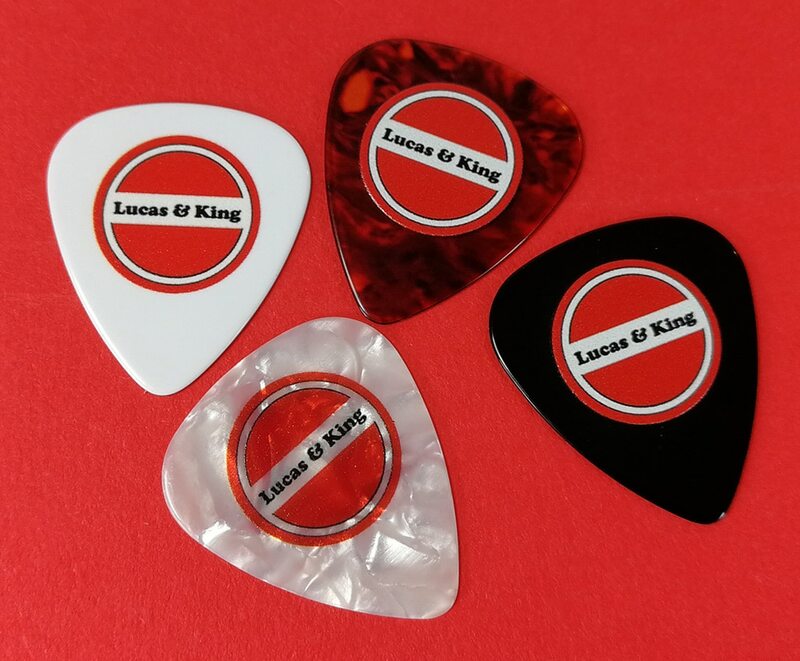 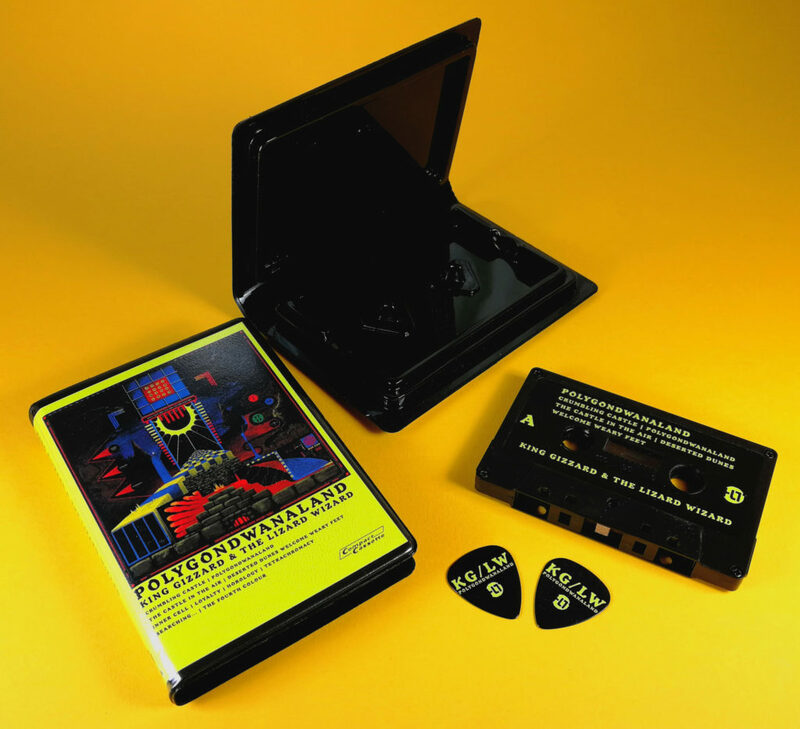 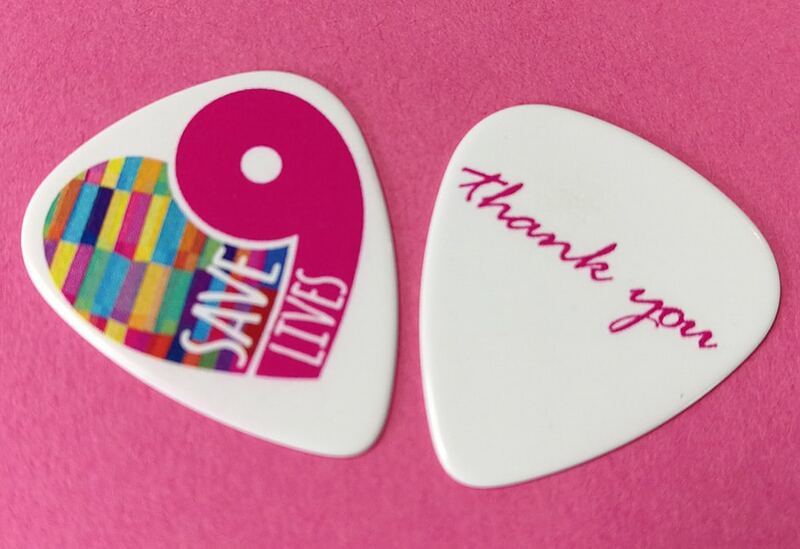 They can either be printed on one side only, or on both sides and are available in a wide range of colours and in 0.71mm and 0.96mm thicknesses for acoustic/electric or bass guitars. 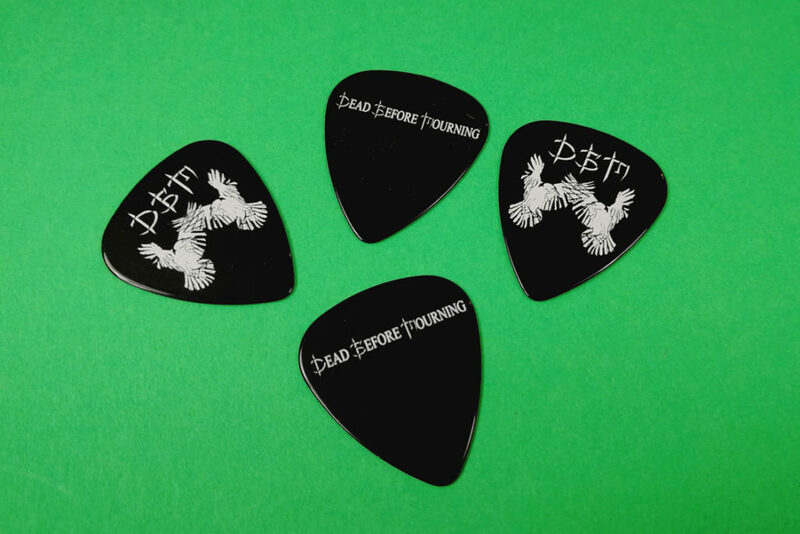 These custom printed guitar picks are ideal for not only playing with, but also for merch stands, added value online CD/cassette/vinyl sales or freebies for fans. 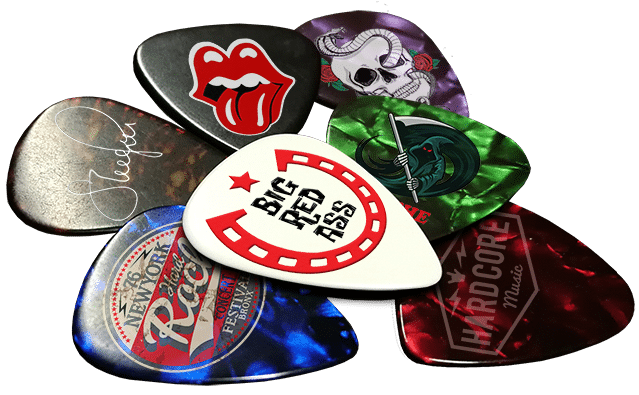 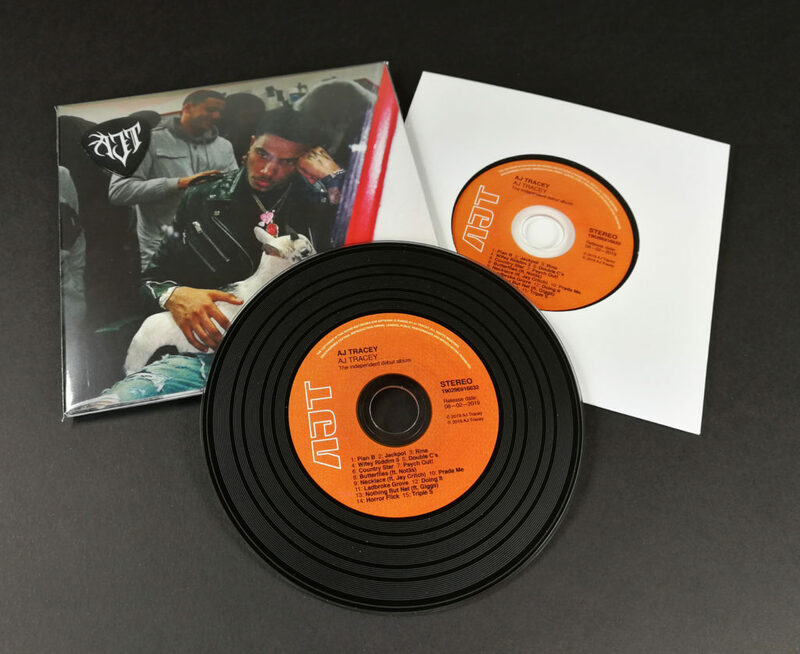 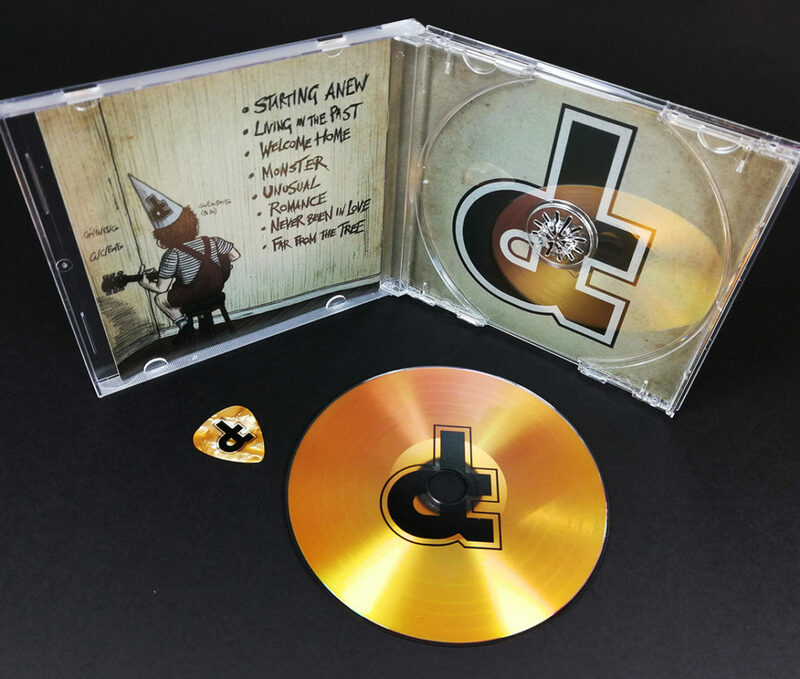 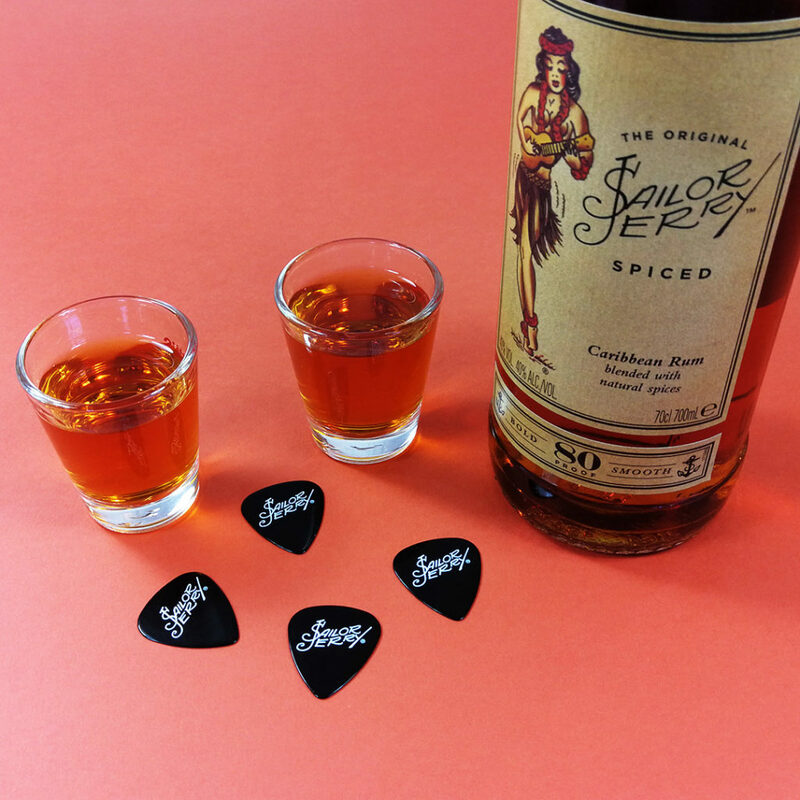 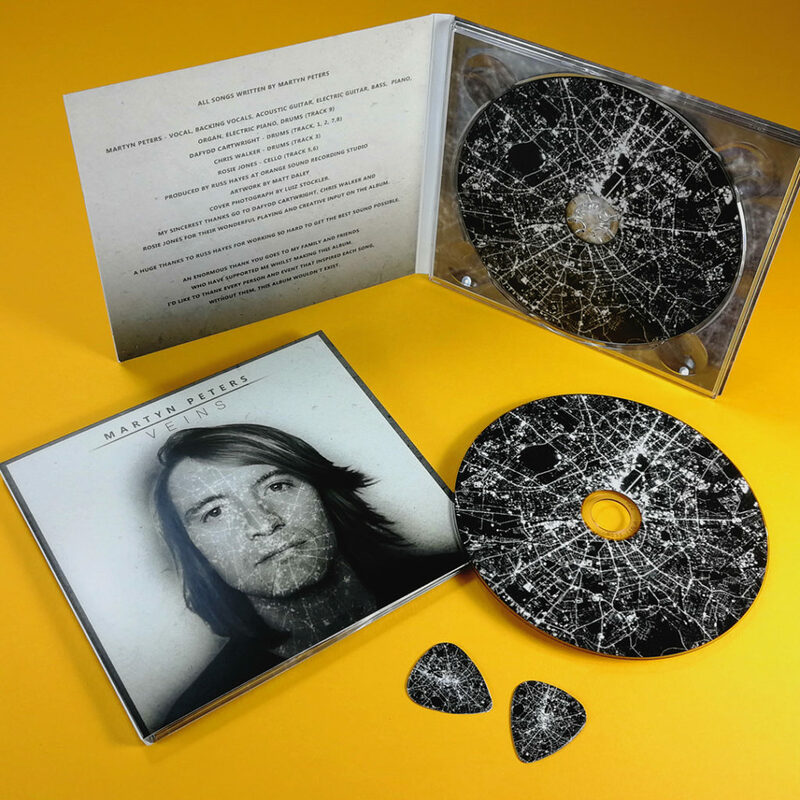 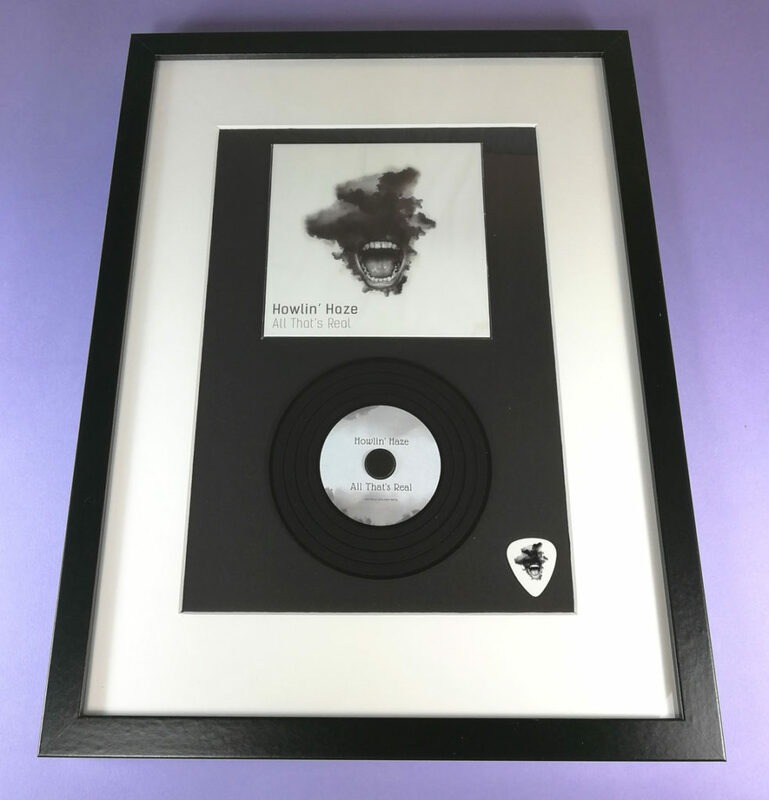 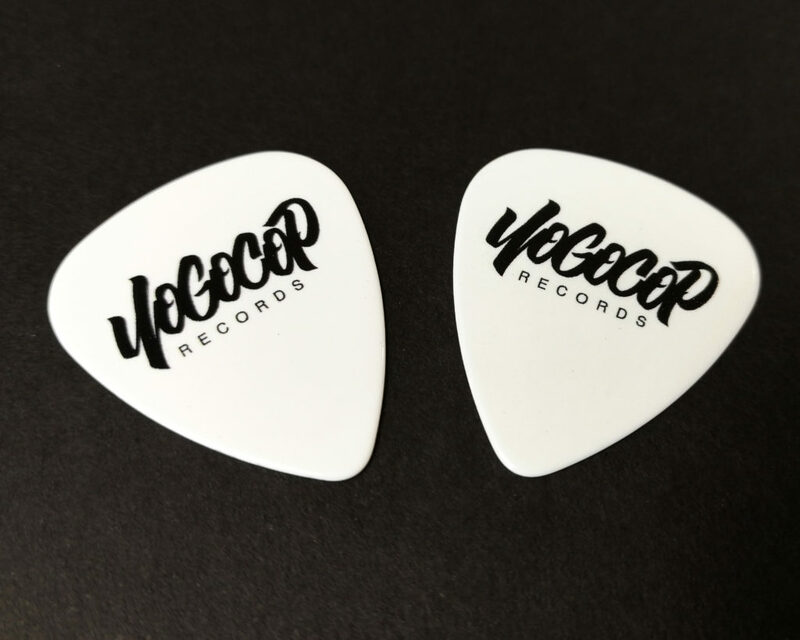 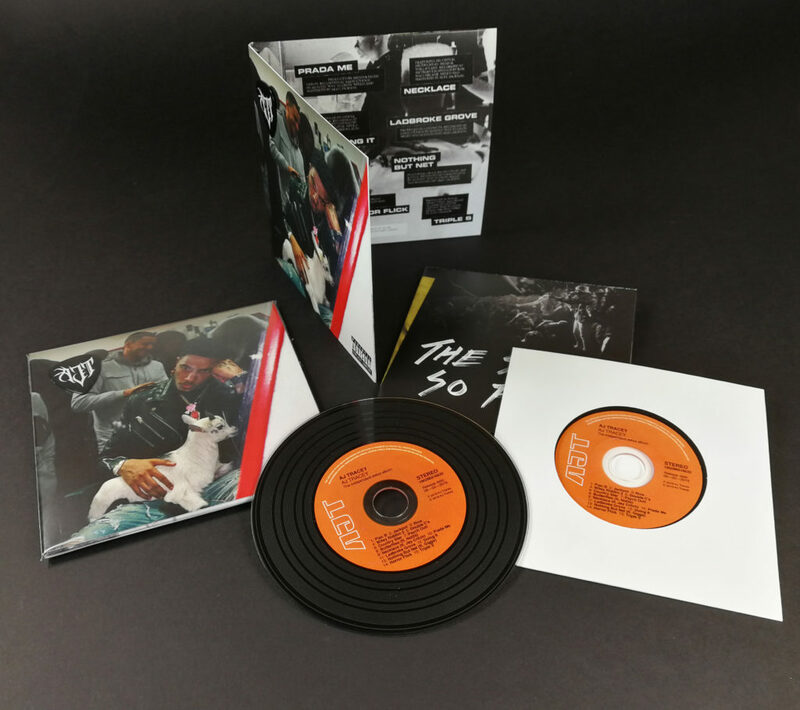 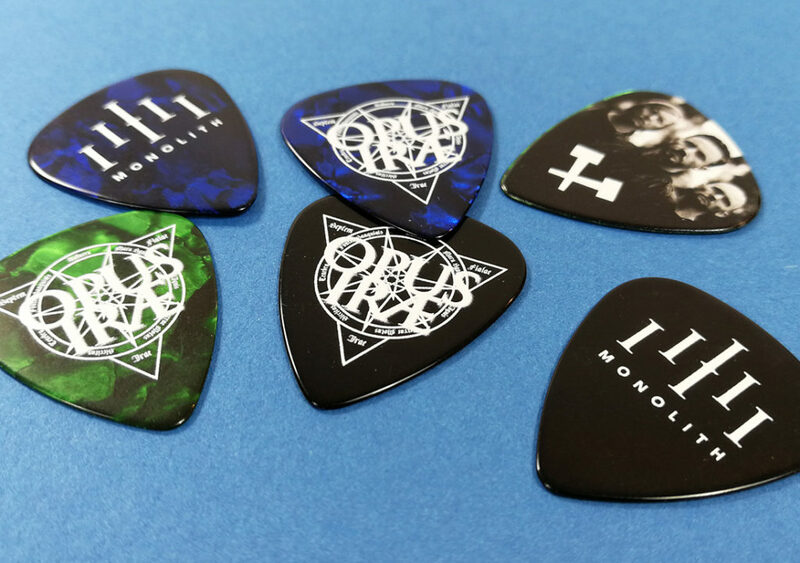 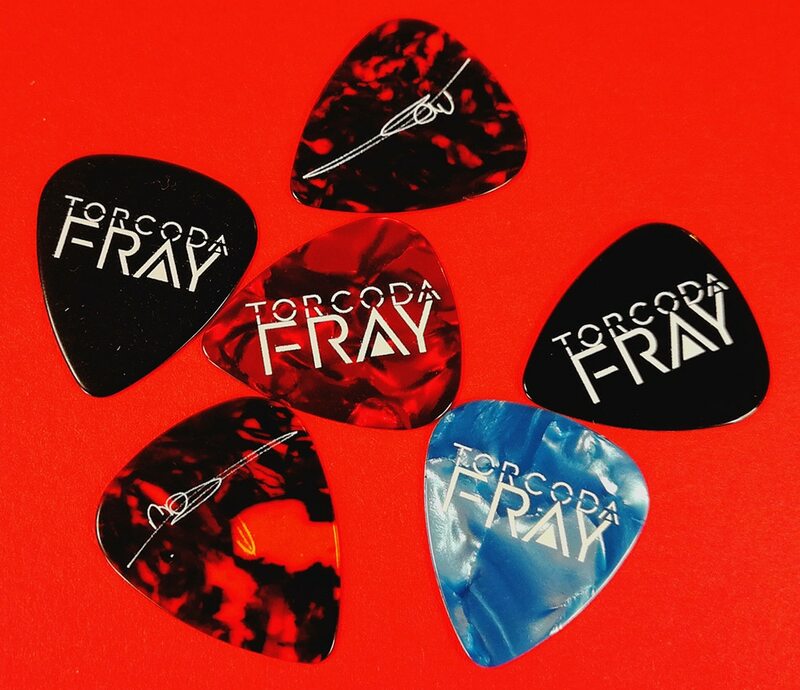 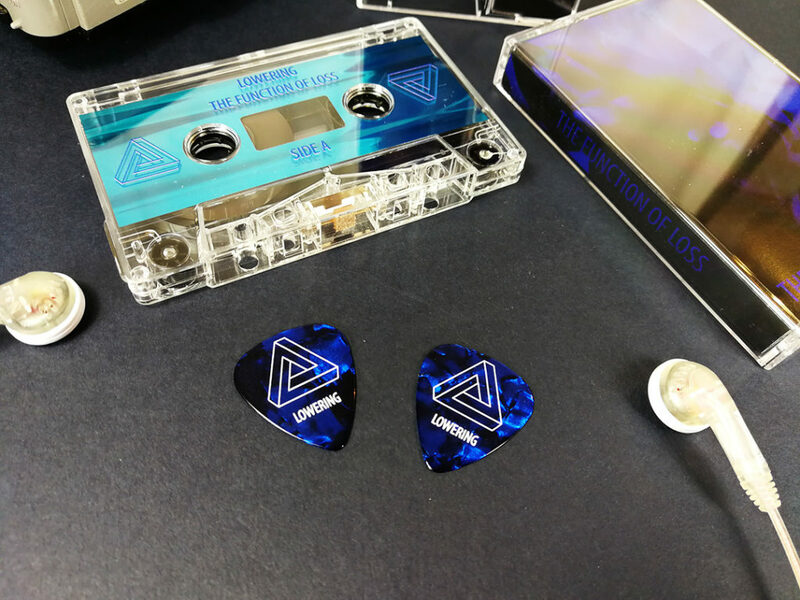 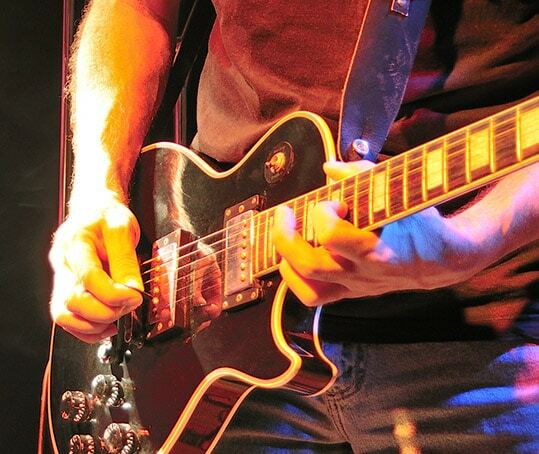 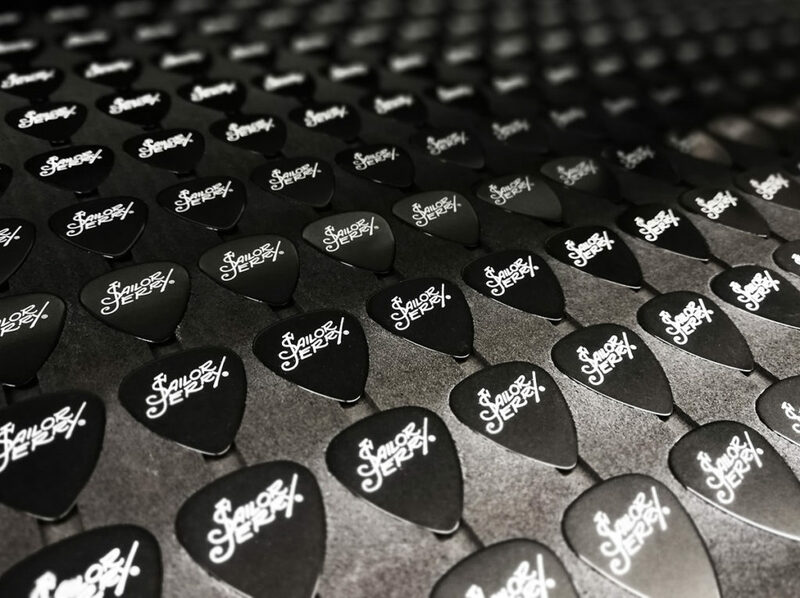 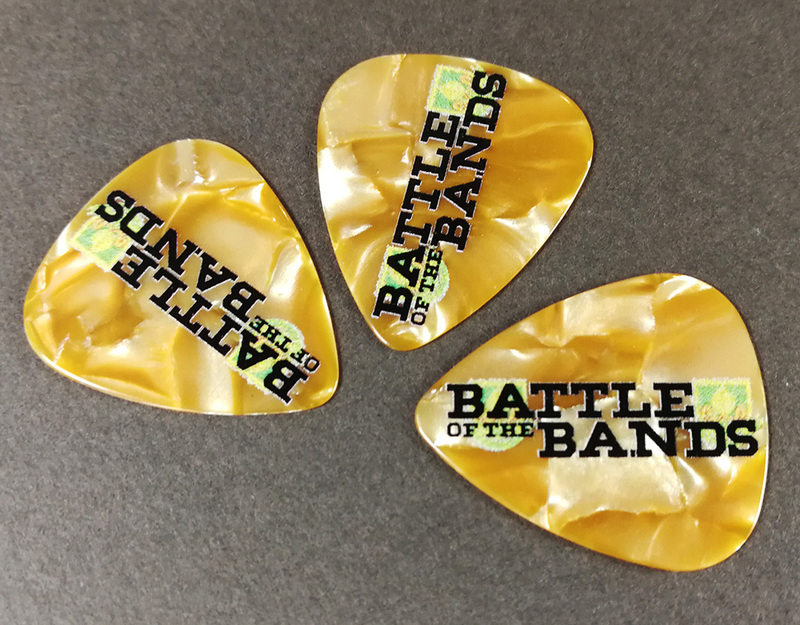 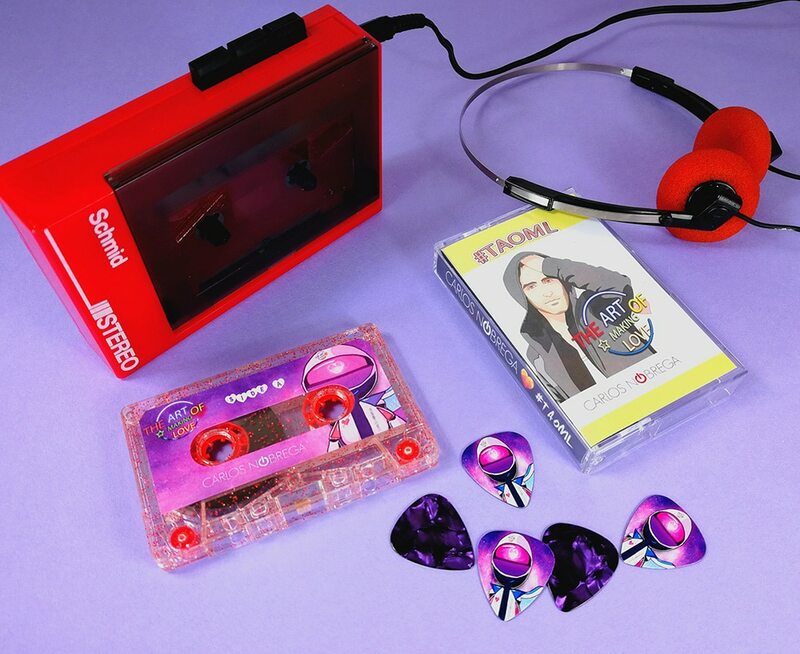 As our high quality digital printing doesn’t involve expensive setup fees, we can offer these for just five copies or more at competitive prices, making them some of the best priced custom printed guitar picks worldwide!